A regular growth has been witnessed in the number of students opting for law. In CLAT-2013, almost 31,000 students appeared for the admission test with only about 1,600 seats available in various national law universities. For the 2014 test, GNLU expects more than 35,000 students to appear for it. 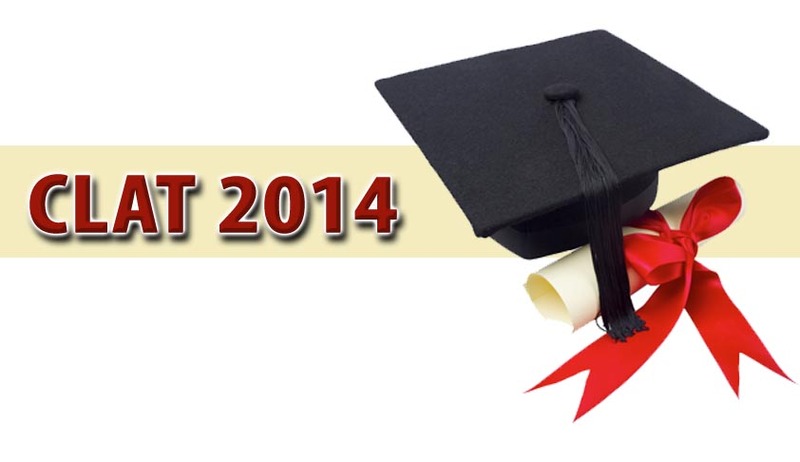 The Common Law Admission Test for the year 2014 will be held on 11th May, 2014 i.e. ; Sunday between 3:00pm to 5:00 pm, which is being organized by Gujarat National Law University. In order to get admission in Undergraduate Courses through CLAT -2014, candidates will have to fulfil certain eligibility according to which candidate must not have attained the age of Twenty (20) years by 1st July 2014. This is applicable for General/OBC/Persons with Disability (PWD) and other category candidates, and for SC/ST category candidates, the age eligibility criteria is Twenty Two (22) years. Also, the candidate must have secured Forty five percent (45%) marks in qualifying examination (i.e. 10+2). This percentage of marks is applicable to only those candidates who belong to General/OBC/PWD and other category, and for SC/ST category candidates, the marks criteria is Forty Percent (40%) in the qualifying examination. At the time of admission the candidate will have to submit the result of qualifying examination (i.e. 10+2) and if the candidate fails to do it, he/she shall be considered ineligible for admission to the Course. Also, no provisional admission shall be provided to those candidates who would not submit the result of the qualifying examination (i.e. 10+2) at the time of admission. As far as foreign nationals’ admission in various NLUs is concerned, they need not take the CLAT-2014. They can get information regarding the admission procedure on the website of respective NLUs of their interest. Candidates interested in seeking admission in any of the NLUs under the NRI/NRI sponsored seat shall also undertake the CLAT-2014. The admission will be based on the merit in CLAT-2014. The students are also simultaneously required to complete the formalities of the respective universities, if any, for which the candidate need to contact the respective university of interest for further information. Candidates appearing in March/April 2014 for their qualifying examination are also eligible to apply but no provisional admission shall be provided to those candidates who would not submit the result of the qualifying examination at the time of admission or within the timeframe prescribed by the respective Universities/ Institutes. In case equal marks are secured by candidates, then only that candidate will be given a preference who secures higher marks in the section of legal aptitude in CLAT-2014, the candidate with higher age and through computerized draw of lots. The first Admission Notification of CLAT-2014 will be issued in the month of December, 2013 and the Application Forms and Information Brochure for CLAT-2014 will be made accessible from 1st January 2014, which can be downloaded from the CLAT website as well as the websites of the member NLUs. The online Application Forms can be submitted between 1st January, 2014 to 31st March, 2014 only till 11:59 p.m. There will be only one mode of submission of Application Forms i.e. online. To prepare better for the exam, candidates can procure previous years question paper booklets by remitting a charge of Rs. 250/- which will be made available after the notification of CLAT-2014. For procuring the Booklets via post from CLAT Office (at GNLU) an additional amount of 150/- shall be provided towards postal charges. 21 cities will conduct the admission test but if sufficient numbers of applications are not received for any City or Centre, the examination in that particular City or Centre will get cancelled and such candidates may be allotted a Test City or Centre according to the second and third preference provided by them. The CLAT-2014 Question Paper for undergraduate courses shall have a total number of 200 multiple choice type questions which will amount to maximum 200 marks. The test will be conducted for two hours. The subjects for CLAT-2014 are English including Comprehension and Logical Reasoning which will carry 40 Marks each, General Knowledge and Current Affairs and Legal Aptitude will be 50 Marks each and Elementary Mathematics (Numerical Ability) will be of 20 Marks. There shall be a system of negative marking wherein 0.25 marks will be deducted for each of the wrong answers. The candidates' proficiency in English will be assessed by the English section which will be based on comprehension passages and grammar. In the comprehension section, candidates will be questioned on their understanding of the passage and its central theme, meanings of words used therein etc. The grammar section requires correction of incorrect grammatical sentences, filling of blanks in sentences with appropriate words, etc. Candidates’ general awareness including static general knowledge will be tested by providing questions on current affairs. Elementary mathematics will help to know the candidate's knowledge on maths. The Legal Aptitude section will test candidate's interest towards study of law, research aptitude and problem solving ability. As far as Logical Reasoning is concerned, its purpose would be to test the candidate's ability to identify patterns, logical links and rectify illogical arguments. However, visual reasoning will not be tested. Besides making the overall admission process more efficient, the introduction of centralized online counseling which is the most substantial feature that has been added to CLAT from the year 2014 will save the time and energy of thousands of students and parents. According to authorities at GNLU, suggestions for further streamlining the admission procedure within the CLAT framework are welcome and they can be posted on the website.